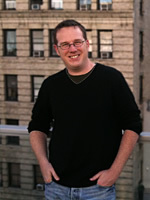 Matt Kinney was born in Boston and is now based out of Southern Connecticut. Always a creative person by nature, he fell in love with music at an early age and knew it was going to be one of the driving forces of his life. His first DJ experiences came in his early teens when his uncle, an aspiring wedding and party DJ, showed him the basics and had him help out at a few gigs. Thus the seed was planted. 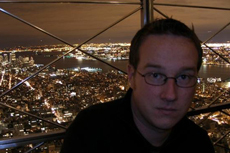 In the early 90s, Matt discovered electronic music and became involved with Boston’s club and rave scene. Being exposed to talented local DJs such as Fran, Bruno and others inspired him and made him realize the true potential of two turntables and a mixer. By the time he moved to Connecticut in the late 90s, Matt had learned that the music of his soul was house music. Influenced by artists such as Masters at Work, Fela Kuti, Johnny Fiasco, Grant Nelson, and the deep, soulful percussive sounds of Latin, Brazilian and African music, he quickly amassed a record collection and honed his skills on the decks. Matt was eventually offered a Friday night residency in New Haven, CT at a new club called Funktion. For over two years, he held his residency at Funktion and turned what started out at first as a slow night into a weekly destination for CT’s house heads and the most successful night in Funktion’s short lifetime. 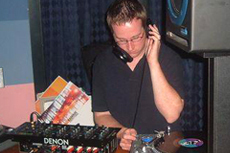 After Funktion closed its doors in 2002, Matt went on to play at many other venues throughout the Northeast. 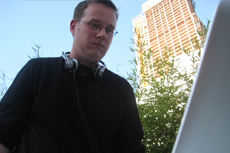 In the early oughties, he joined forces with southern Connecticut’s Family Sessions DJ crew, holding residences at such venues as Agos, Z Café, Taboo, Temple Bar, and Ocean Drive among others. Along with Family and DJ Jus-Ed, Matt also played host for the sold-out ‘Groovin’ on the Sound’ boat parties, which are still talked about today by those who were in attendance. These days Matt spends more time producing than playing out, but you can still see him behind the decks and CDJs at clubs and private events from time to time.